Geek Connections: DOCTOR WHO and THE DC UNIVERSE - UPDATE | Warped Factor - Words in the Key of Geek. 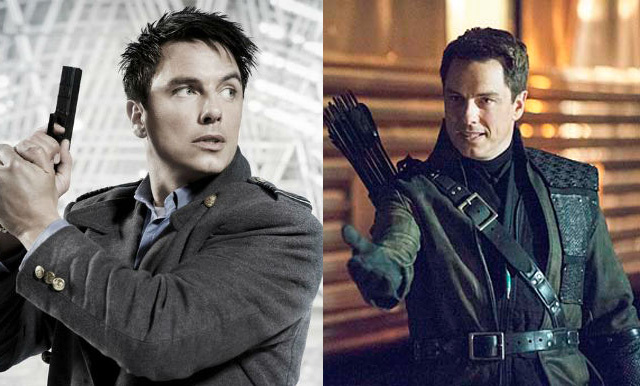 Did you know all these actors that have been in both Doctor Who and the many TV shows and movies based on DC Comics publications? 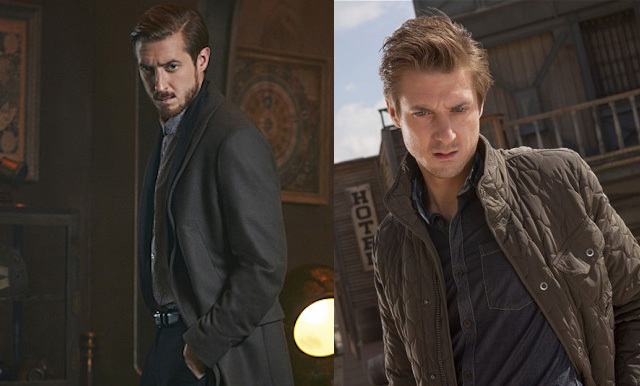 Arthur Darvill played Rory Williams in Doctor Who and can currently be seen starring as Rip Hunter in Legends of Tomorrow. 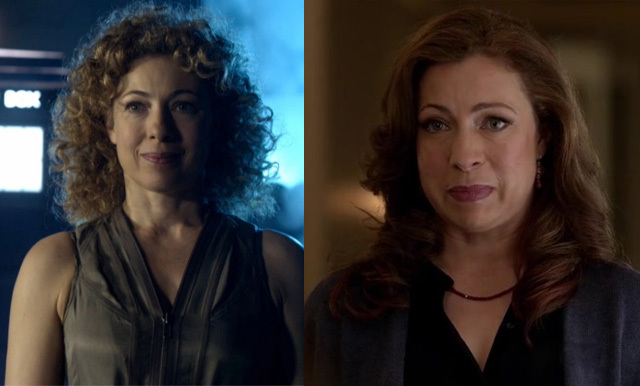 Hello sweetie, it's the Doctor's wife River Song, played by Alex Kingston from 2009 until Christmas 2015. She's also guest starred in Arrow as Dinah Lance. Oh Missy you're so fine. 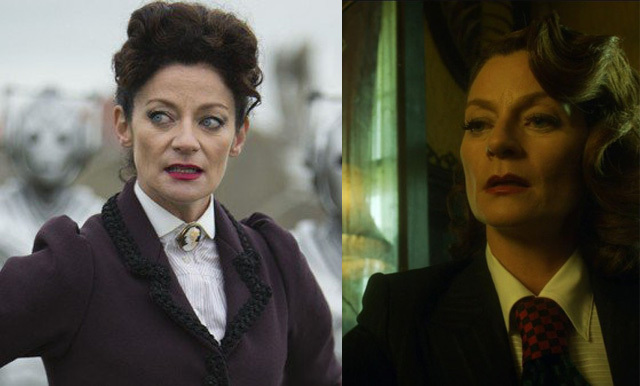 Gomez is the current incarnation of the Master and recently popped up in Gotham as 'The Lady' in the season 2 episode A Bitter Pill To Swallow. 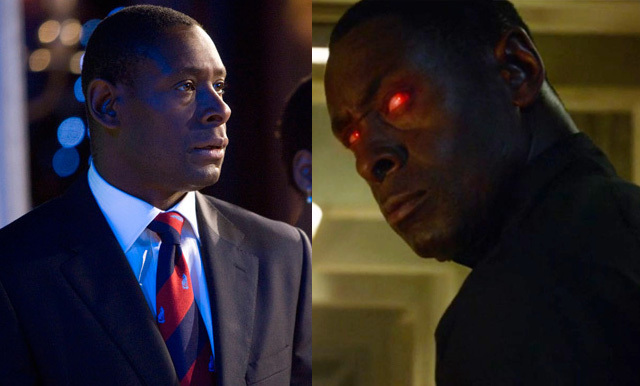 Harewood played billionaire Joshua Naismith in David Tennant's final story The End of Time, and he's currently starring as Hank Henshaw / J'onn J'onzz in Supergirl. 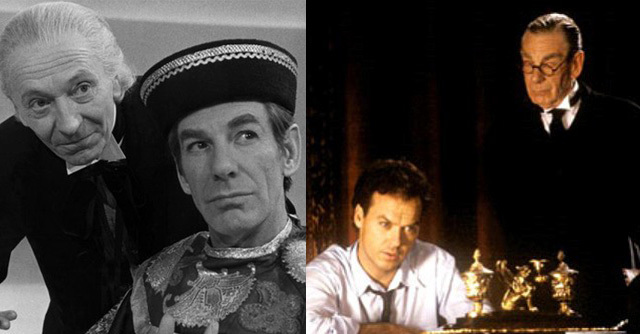 Michael Gough played Bruce Wayne's butler Alfred Pennyworth in four Batman films, but long before that he played the Toymaker on Doctor Who opposite William Hartnell's First Doctor. He also returned to Doctor Who in 1983 for the Fifth Doctor story Arc of Infinity where he played Councillor Hedin. 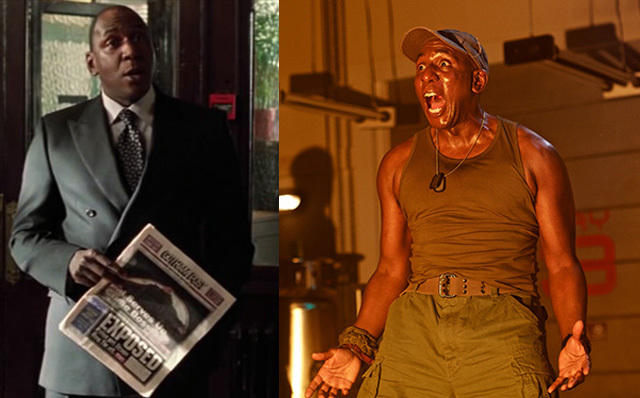 McFarlane played Commisioner Loeb in Batman Begins, he's also had several roles in the Doctor Who universe. Most recently you'd have seen him as Moran in Before The Flood / Under The Lake, before that he provided an aliens voice in Voyage of the Damned, and he also played General Pierce in Torchwood: Children of Earth. 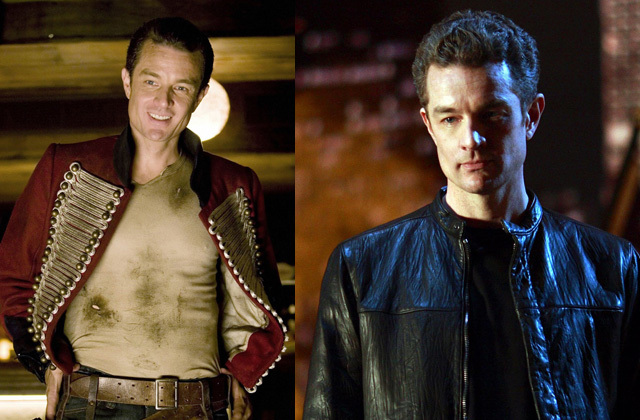 Marsters played Captain John Hart on Torchwood season 2, and before that he had a recurring role on Smallville as Milton Fine / Brainiac. 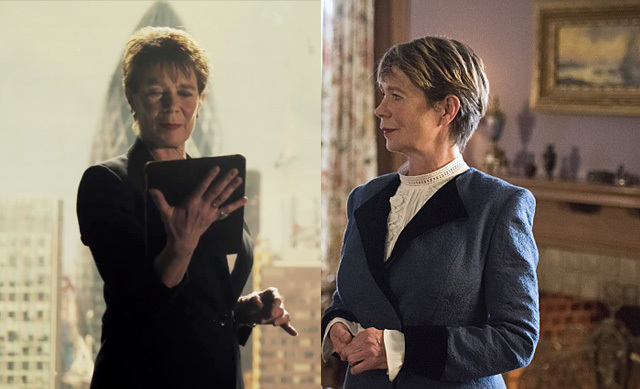 Celia Imriee played Miss Kizlet in The Bells of Saint John and Mary Xavier in the Legends of Tomorrow episode Last Refuge. 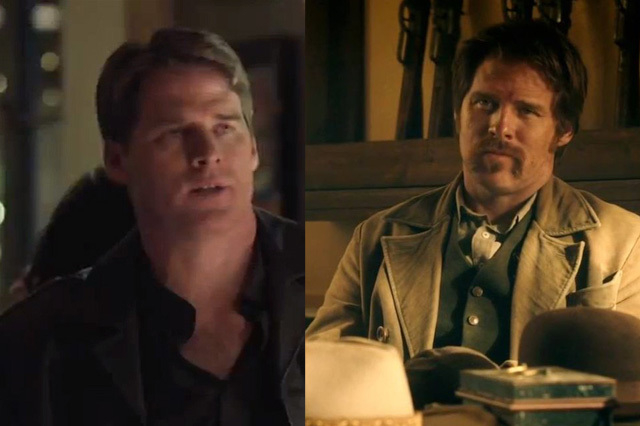 Best known for his roles on Farscape and Stargate SG-1, Ben Browder played Isaac in the Doctor Who episode A Town Called Mercy, he also guest starred on two episode of Arrow as Ted Gaynor. Sean Pertwee: Currently playing Alfred Pennyworth in Gotham, Sean is, of course, Jon Pertwee's son and he also made a cameo appearance in The Five(ish) Doctors Reboot. Jim Broadbent: He played Jean Pierre Dubois in Superman IV: The Quest For Peace, and portrayed the Eleventh Doctor in the 1999 Steven Moffat scripted Comic Relief spoof The Curse of Fatal Death. Broadbent had previously played a generic Doctor in a sketch for an episode of Victoria Wood As Seen On TV.